Few startups and small businesses debate the merits of building a mobile app anymore. That people overwhelmingly prefer mobile experiences is simply common wisdom by now. Why? Because smart devices are nearly ubiquitous. 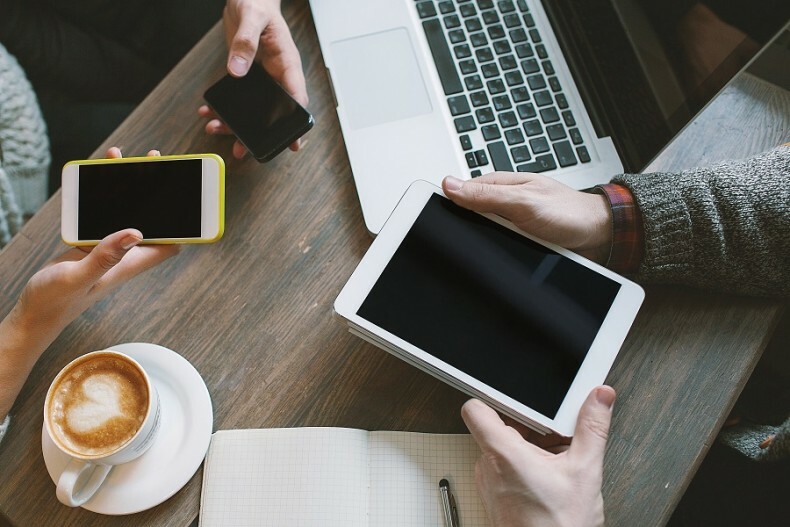 Jeff Pruitt, the chairman and CEO of Tallwave, emphasized that point earlier this year: “The sheer number of connected devices in the world today is staggering. While it’s difficult to arrive at an exact number … estimates are in the tens of billions.” Those figures are more consequential than most individuals realize. Widespread adoption has influenced consumer behavior in irreversible ways, which means business leaders have to adapt their strategies accordingly. Here’s how. Some skeptics remain unconvinced due to the anticipated cost of launching and maintaining an app. Those leaders don’t fully appreciate the opportunity costs associated with no app at all. That’s a major mistake — according to Forbes, businesses can’t afford to be without a mobile app. There are many reasons for this, but the most compelling is the risk of potential customers being lost to competitors with better mobile experiences. It’s better to have a subpar mobile presence than absolutely none at all. Nevertheless, far too many businesses still fall prey to such a scenario despite it being entirely preventable. The key to success is putting together an appropriate mobile app experience, which is no trivial undertaking for anyone unseasoned. Any organizations who can’t put together a mobile app alone can very easily rely on specialized mobile app development companies. Such a move often saves money and time. That makes it an especially viable approach for startups, nonprofits, and government agencies without the necessary expertise. Forging partnerships with external groups allow organizations to focus on what they do well and avoid wading into uncharted territory. The implication should be clear. Mobile apps can be extremely lucrative endeavors, so long as end users remain the top priority instead of misguided objectives. In other words, the ultimate success of any mobile app is a function of more than its features and aesthetics. Consumers want apps to serve a convenient purpose and produce a consistently positive user experience. It’s for that reason that the authors at Think With Google stressed mobile optimization for the sake of business performance. According to them, “when your app or site is clumsy or slow, 29% of smartphone users will immediately switch to another site or app if it doesn’t satisfy their needs.” That means a third of potential customers can be lost in only a fraction of a second. As mentioned earlier, most businesses simply cannot afford to incur the opportunity cost of operating without a mobile strategy. Recognizing that a working mobile app does not equate to an effective mobile strategy is the first step for leaders planning to thrive. Equally important is having a grasp of human behavior and applying that knowledge in real time with the intention of measuring the impact. Ideas must be tested and validated before they can realize the most potential. Suffice it to say that timing can play a major role on any eventual outcome and any delay could spell disaster. Those organizations without a mobile strategy ought to reconsider their stance. Those that have one should begin investigating the value of their mobile strategy. Thinking holistically about the entire mobile experience will lead to the best results.